Rumors are swirling about the terms of President Trump’s fiscal year (FY) 2020 budget submission to Congress, but one thing is for certain—the request will be at least a month late. This will delay consideration of other core national security legislation, including the much-anticipated debate about the size of the national defense budget. President Trump is expected to ask for $750 billion for national defense, $17 billion more than his FY 2019 budget request and well over the $567 billion spending cap established in the Budget Control Act of 2011 (BCA, Pub.L.112-25). In order to appropriate any amount over this limit, Congress must first pass a law amending the cap. Policymakers have successfully done so since the BCA was enacted—most recently in February 2018, when Congress passed the Bipartisan Budget Act of 2018 (Pub.L. 115-123) to increase the cap by $80 billion and $85 billion for FYs 2018 and 2019, respectively. Brownstein expects a heated debate in Congress over the president’s budget request. Republicans in both chambers will almost uniformly support higher funding levels for defense, and Democrats will likely call for a lower number, to include an equal increase in non-defense spending over the BCA caps. During his four years as chair of the House Armed Services Committee (HASC), now-Ranking Member Mac Thornberry (R-TX) pushed hard to increase topline defense spending. We expect a new dynamic in the House as newly installed HASC Chair Adam Smith (D-WA) believes that the $716 billion defense budget for FY 2019 is “bloated.” Chair Smith has also been critical of recent strategic documents like the Nuclear Posture Review and Missile Defense Review, which call for increased investments in various procurement accounts. This shift of power could make negotiations challenging, but the blueprint for success is already in place with previous iterations of BCA cap adjustments. Should appropriators fail to increase the spending cap, the Department of Defense will be forced to slash billions of dollars from current and planned budgets. This would halt progress in readiness restoration, such as procurement and investments in training and infrastructure, and limit the agency’s ability to keep pace with a growing threat environment. Tough choices will need to be made, and we will hear military officials express concern about the “increased risk” that budget cuts pose to personnel safety and mission integrity. 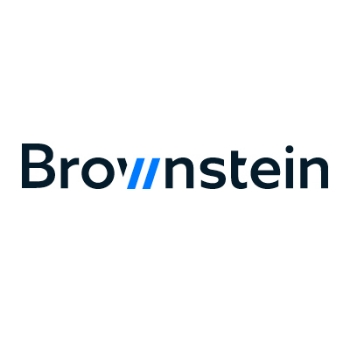 Brownstein is well positioned to support clients through the BCA debate and advocate to Congress the importance of their products, programs and services to our nation’s security and industrial base. While companies may find themselves with more time to prepare their legislative programmatic requests, we advise that clients have a detailed action plan in place to execute those requests well in advance of their due date.